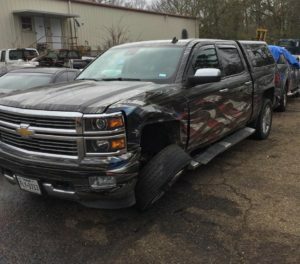 State Farm Insurance had deemed our clients 2014 Chevrolet C-1500 a Total Loss and offered him a settlement of $39,123.37. We successfully settled his claim for a settlement of $44,093.75. Net settlement increase was $4,970.38 or 12%. Check Out What Our Client Said About Us! Allstate had deemed our clients 2007 Bentley Continental GT a Total Loss and offered her a settlement of $45,803.75. We successfully settled her claim for a settlement of $64,671.89. Net settlement increase was $18,868.14 or 41%. A Tornado picked up our clients 33 foot Trailer, and dropped it next to its parked location on it’s side. 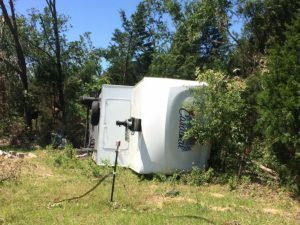 National General Insurance deemed the 2007 Forest River Cardinal Limited Model 33 foot Trailer a Total Loss and offered a settlement amount of $14,090.00. We successfully settled the claim for a settlement of $18,700.00. Net settlement increase was $4,610.00 or 33%. 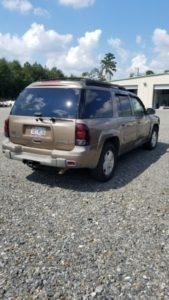 Our client has a 2003 Chevrolet Trail Blazer and was in a right hand side collision. The OEM Certified Collision Facility our client chose to restore her car back to its Pre-Wreck OEM Condition issued a repair estimate for $4,756.41. Nationwide elected to Total the Trail Blazer. Our client wanted her Trail Blazer returned back to its OEM Pre-Wreck Condition. Our client has Nationwide Insurance. Nationwide Insurance elected to deem our client’s Trail Blazer a Total Loss. Nationwide employed CCC ONE to issue a Market Valuation Report on the 2003 Chevrolet Trail Blazer. CCC ONE arrived at a Market Value replacement on the Trail Blazer for $4,591.00. The Damage to Loss Ratio at the CCC ONE Adjusted Vehicle Value ($4,756.41 / 4,591.00 = 104%) was 104%. Texas Transportation Department sets the Total Loss Threshold as 100% of the Actual Cash Value. Meaning if the repair cost minus the paint cost, and sales tax is less than the Actual Cash Value, said vehicle is eligible to be repaired. We were able to renegotiate the Actual Cash Value on the 2003 Chevrolet Trail Blazer to $5,900.00. Our client employed us to issue a damage loss module, explain to Nationwide the Texas Total Loss Threshold code, and negotiate with Nationwide to repair her car. Our Clients Trail Blazer was subsequently repaired to its OEM Pre-Wreck Condition for $4,576.41.